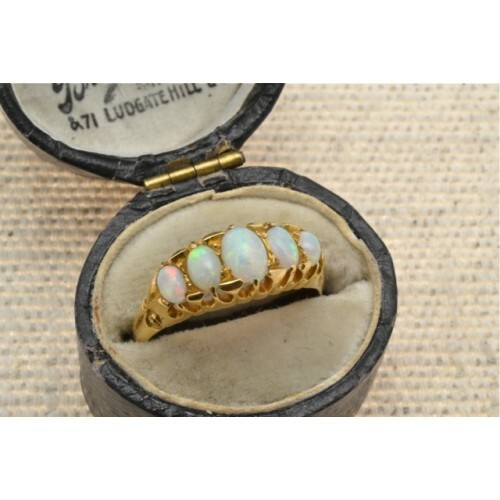 Antique five stone opal ring. 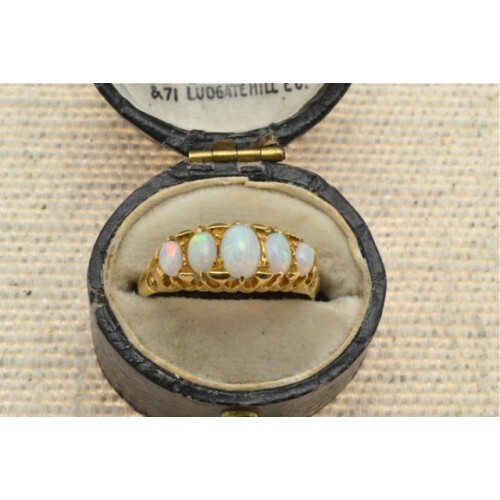 Antique 18ct gold boat set opal ring, having five graduated oval shaped opals, wonderful colours, pinks, blues and greens. Scroll shoulders, in mint order and condition. 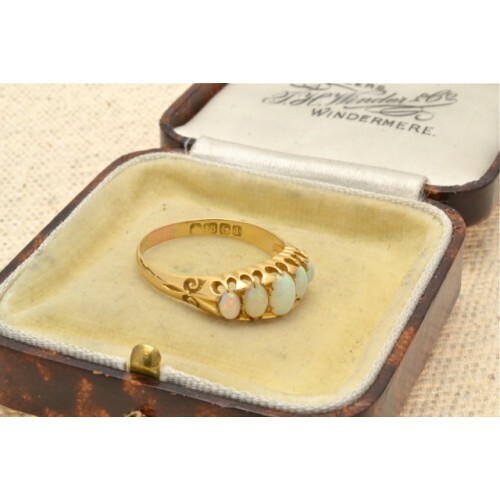 Birmingham, dated 1910.